You can enable a parent client account for your customers which allows them to switch between and manage a child account. This means that a parent account can have several child accounts linked to it, allowing them to book a service or event for each child separately. The assigning of Child to Parent accounts can only be done via the admin so customers will have to inform you of the child accounts they want linked to the parent account. When a customer logs in to their account, there will now be a drop down menu at top of the screen allowing them to switch between the Parent and child accounts. Note: each child transaction will have to be completed separately and any child bookings must go through your public page URL (Publish > Public Site > and View Public Site). 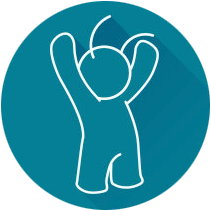 Currently, no child bookings can go through embedded widgets on your own site. Can clients book multiple items with a shopping basket?